When going on tape for a casting director, you need to make sure you do it “right.” That’s where B.E.ZEE PRODUCTIONS comes in. With shorter productions & tighter budgets, a taped audition may become your only connection with casting directors, producers and directors. The turnaround time for your self-taped audition needs to be quick. 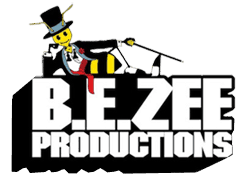 B.E.ZEE PRODUCTIONS will not only tape your audition, but they will edit it and send it in. How do you make sure we have seen and heard you while showing your personality and sharing your best performance during taping? Well, we can do everything on the spot! In other words, after we tape your audition, you can watch and select your favorite scenes, and then watch us edit your video. We will email you the fully edited copy of your video before you even leave our office. We can also send a copy to your representation. Contact B.E.ZEE PRODUCTIONS today to learn more about our audition taping services!